On November 24th there was a Social Lunch for around 18 people. 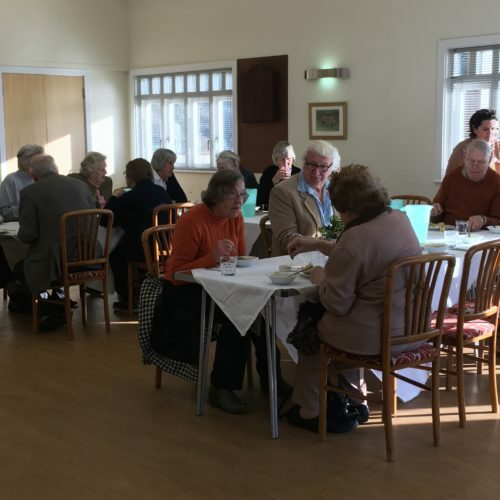 This was the first lunch to allow people mainly in the Tew Churches and villages to get together, enjoy a meal and meet their friends or get to know new people. Thanks to Sue Lovatt and Zoe Wesson a delicious homemade soup and generous ploughman’s lunch was served in convivial surroundings at the Tew Centre. It is hoped to arrange the next lunch on January 19th, 2018. Please let Ginny know if you would like to know more.